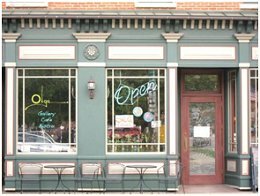 A stop at the Olga Gallery, Café & Bistro on 4 East 2nd Street in Coudersport is a must do for anyone traveling scenic Route 6 in Pennsylvania. Dining and shopping is taken to a new level. Seriously good art, food, drink, and music all under one roof. You will have a food experience unlike any other. 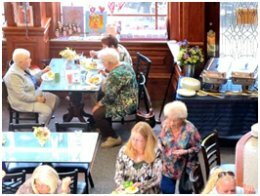 Owners Olga and John Snyder are serving new and traditional American favorites including barbeque, burgers, Greek and Mediterranean, Italian, Mexican, pizza, sandwiches, seafood and vegetarian dishes. A full bar offers many beers on tap, mixed drinks, coffee drinks, and a selection of wines. In summer you can enjoy seating outside, or order take-out if you prefer. Enjoy live music on Thursday evenings.